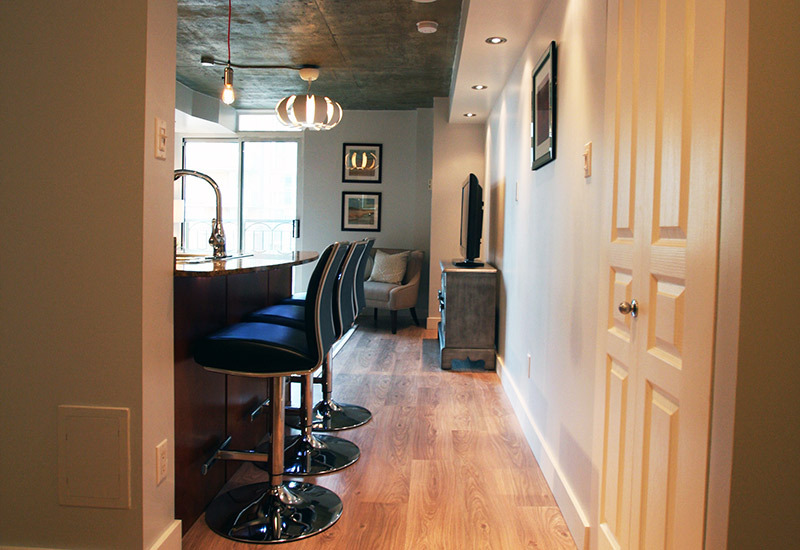 This 400 square foot condo in a trendy young building needed a complete make-over on a tight $13K budget. 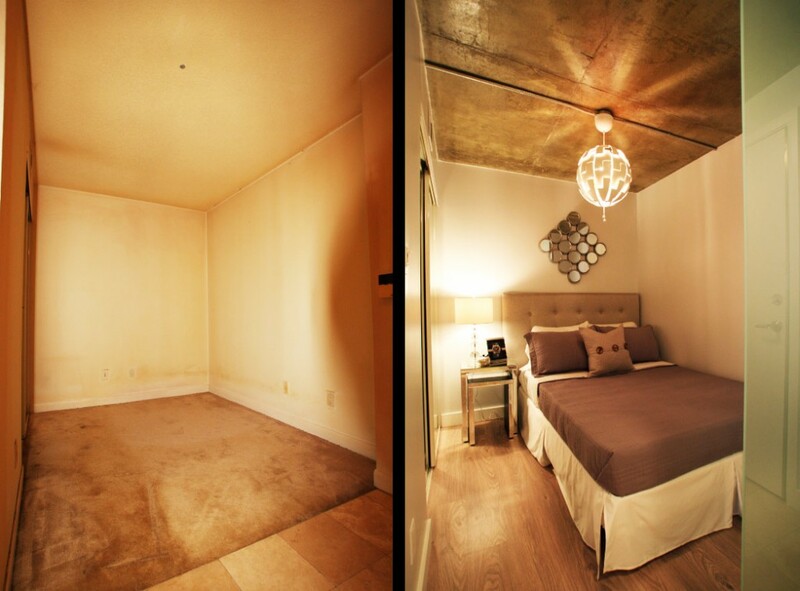 The purchase condition of the unit was deplorable with smoker’s tar and cooking grease coating the walls. 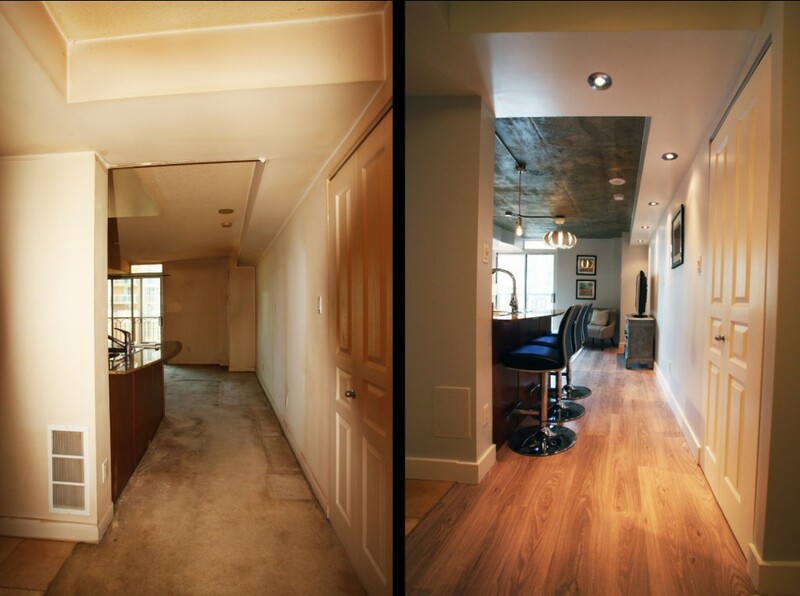 Special attention was given to remediating the walls and scraping the plaster ceiling. 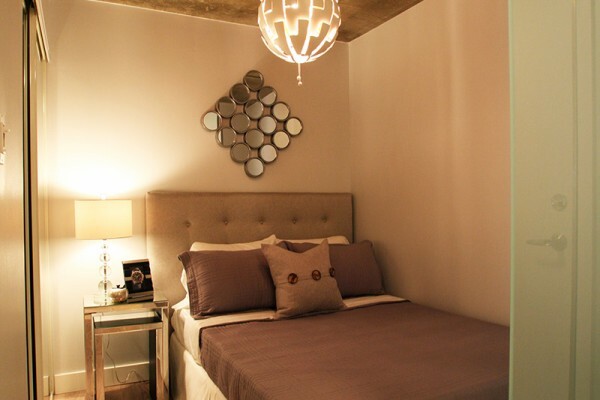 A frosted glass partition was added for greater bedroom privacy. 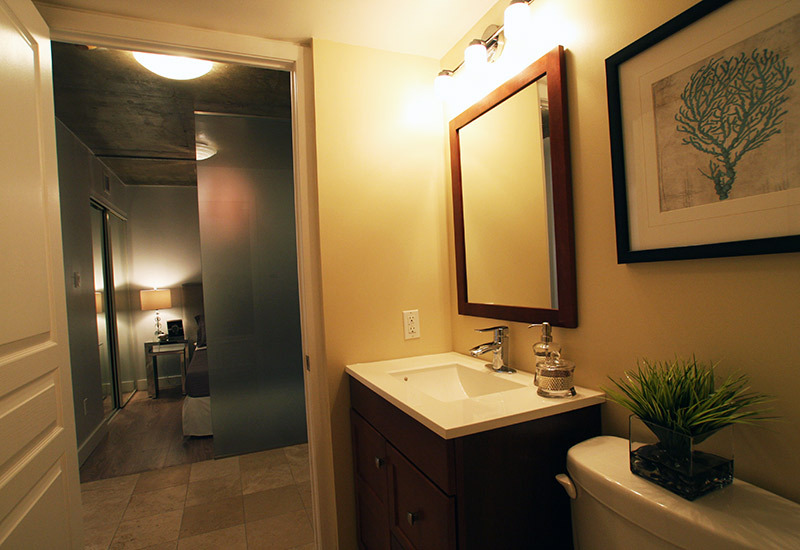 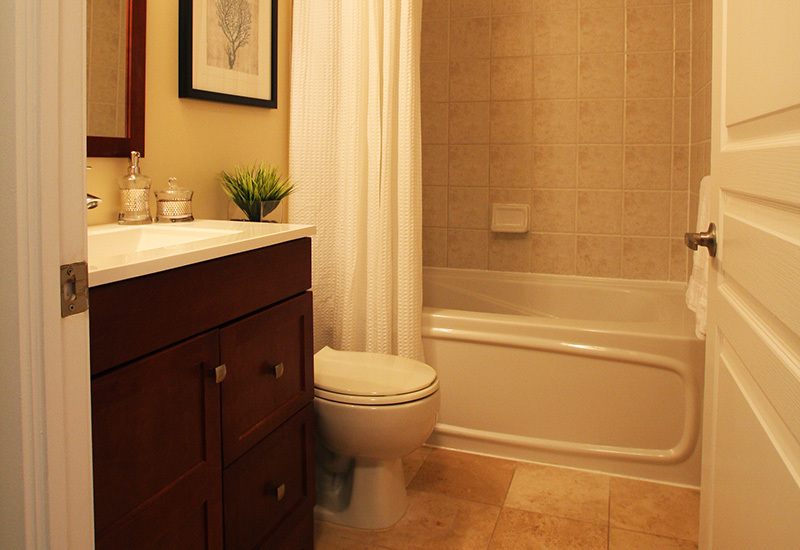 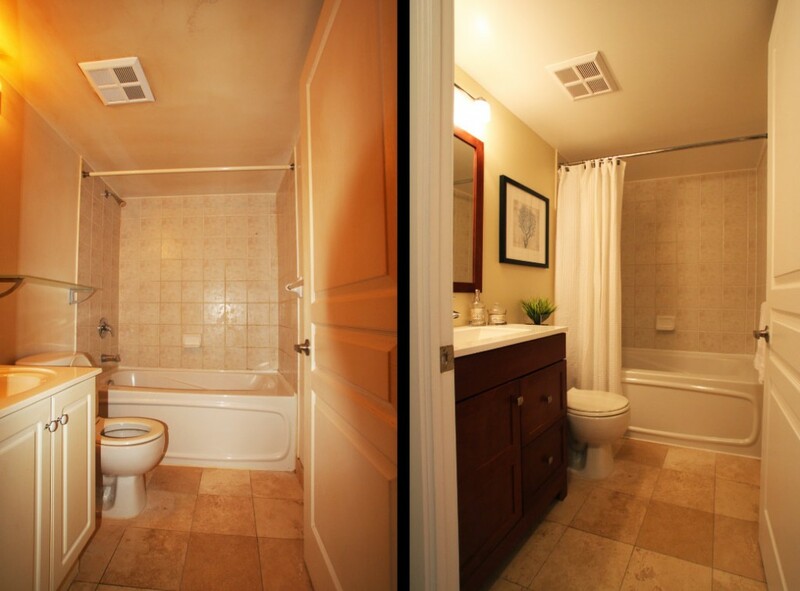 New hardwood flooring, stainless steel appliances, enhanced kitchen cabinetry, light fixtures and pot lights, a new bathroom vanity, faucets and modifications to the shower gave the space a quality feel. 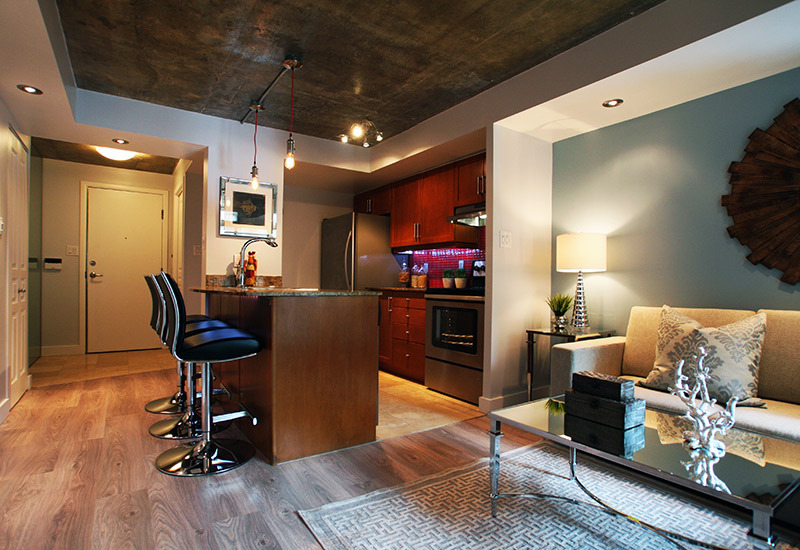 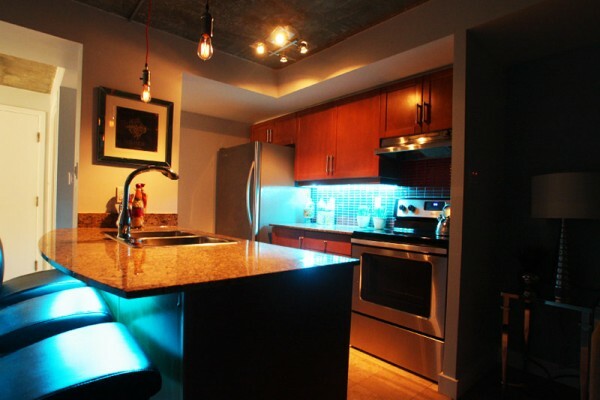 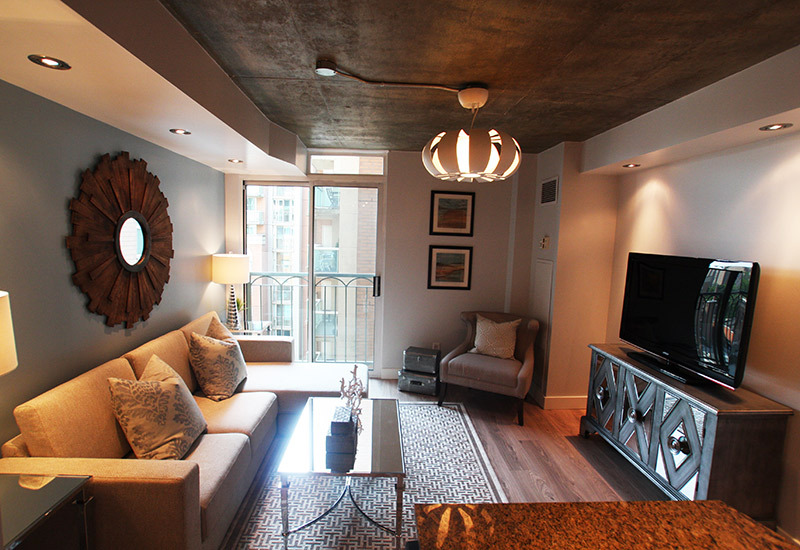 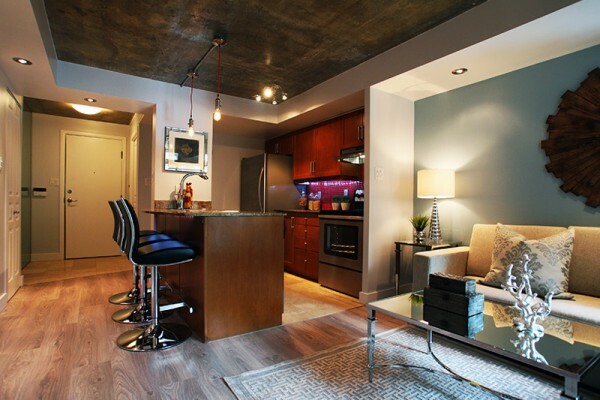 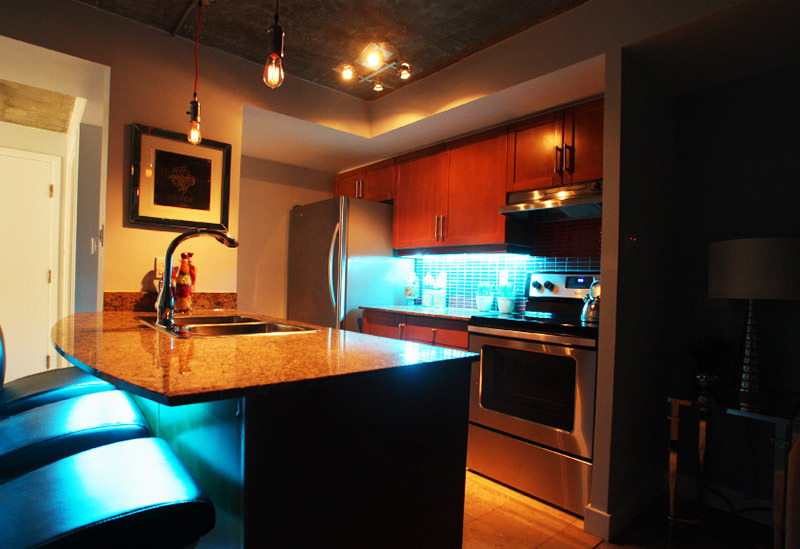 Sealing the exposed concrete ceiling in the living area and adding LED lighting under the kitchen cabinetry gave the condo the WOW factor it needed.